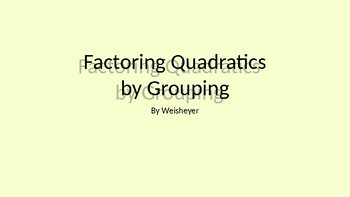 Simple step by step notes for factoring quadratics functions by grouping. Notes are color coated to match each step with the part in the example. Each step also enters the power point one at a time.